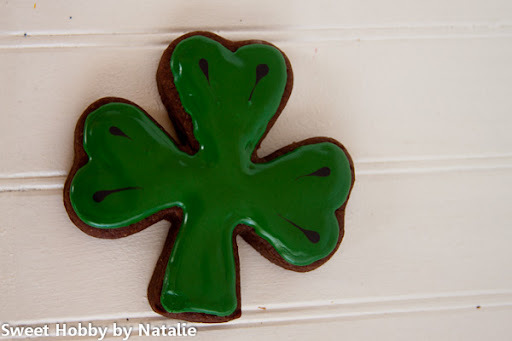 St. Patrick's is about here and I have been busy making cookies for birthdays, making cakes, taking clients , teaching at night and taking two Wilton classes. 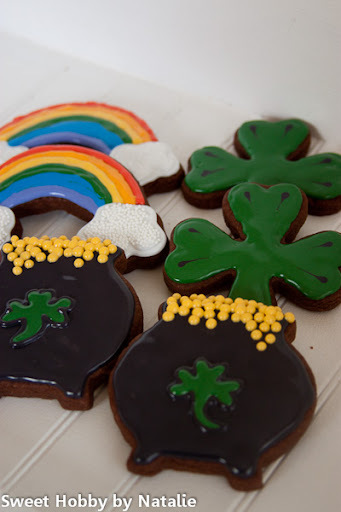 Those are my excuses for not doing Patty cookies this year. I felt a little guilty and the kids have been wanting me to make THEM cookies and not for everybody else so I quickly whipped these up today so that they could enjoy a couple. 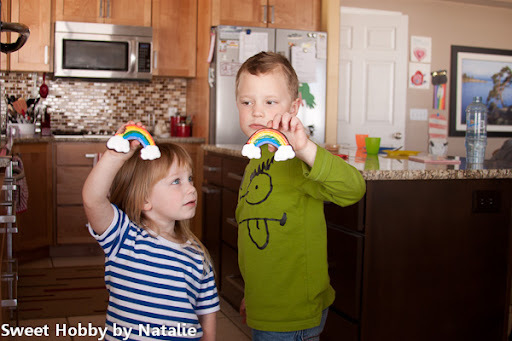 I went to the package the Wilton cookie cutters came on for inspiration for the rainbows and pots. 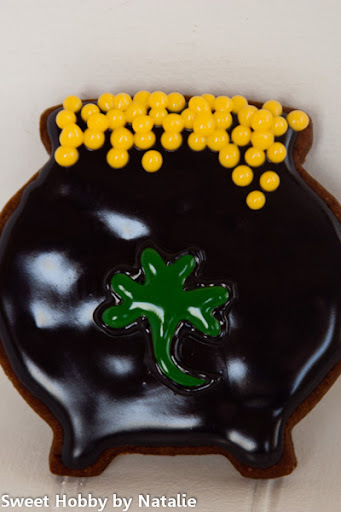 I did my own thing with the shamrock.